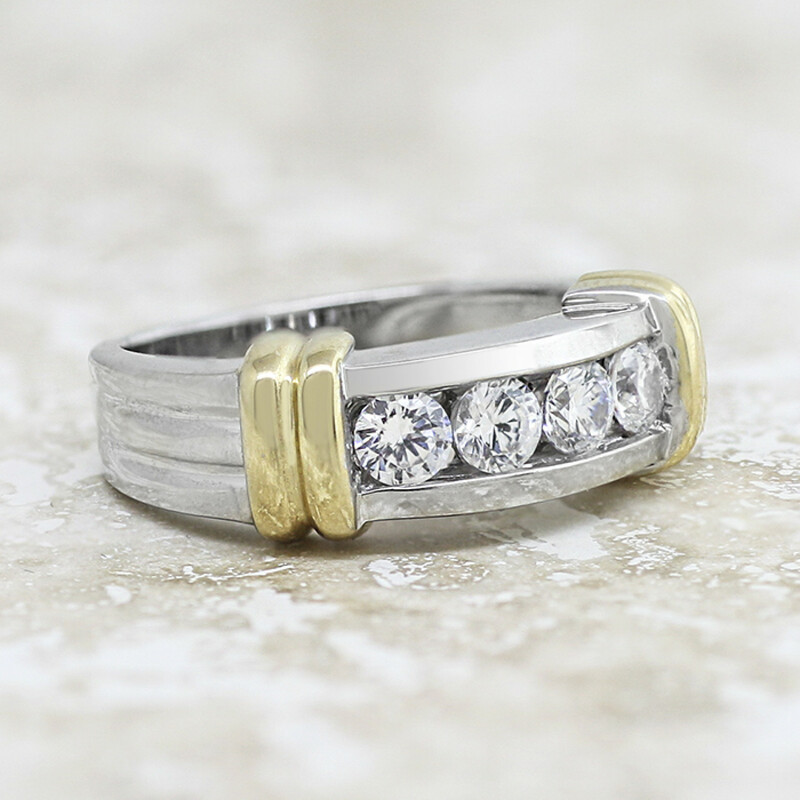 Two-Tone Fashion Ring - 14k White and Yellow Gold - Ring Size 9.0-10.0 was added to your cart. Make a statement with this bold two-tone 14k gold fashion ring! 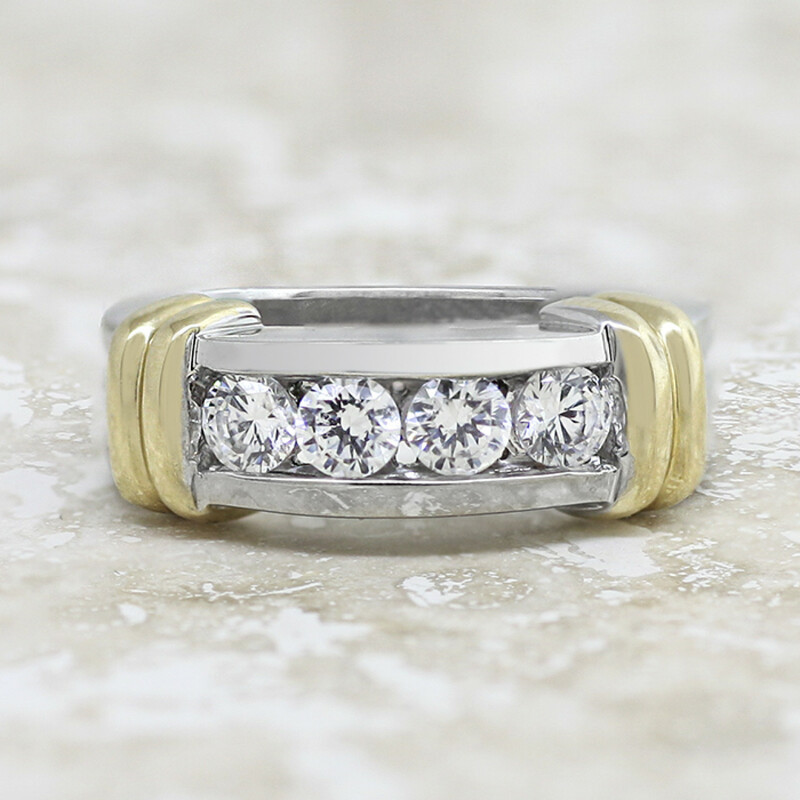 Four 0.25 carat Round Brilliant cut Contemporary Nexus Diamonds are held in a 14k white gold channel setting for smooth, snag-free security, Decorative accents in yellow gold frame the sides.